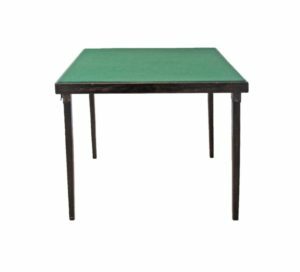 An English vintage mid 20th century H67cm, square 76X76cm foldable cards table, on mahogany square tapered legs, attached to the square top by metal clever joints allowing the legs to fold under and lay flat and only 8cm wide. 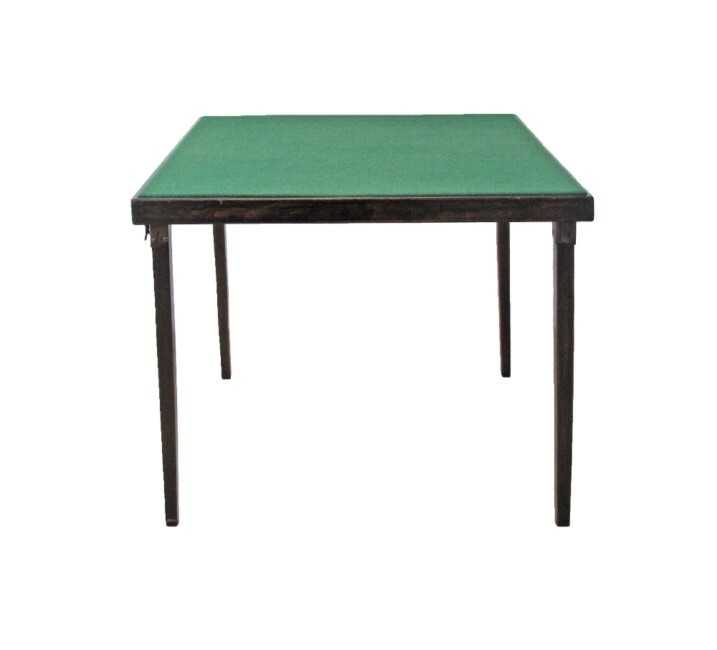 Great space-saver and quite sturdy, with green baize, marked underneath: “VONO FOLDAWAY TABLE, British Made, Pat. No. 361783. With a cloth pocket to keep it clean.